Keep moving even while you’re busy at home or work. 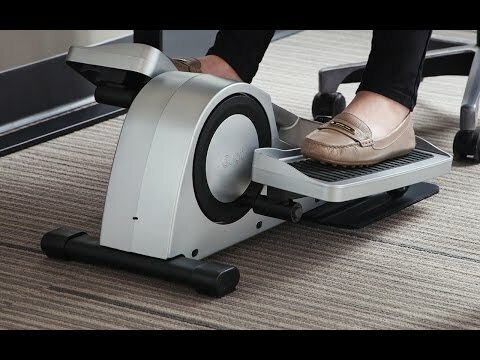 This under-desk elliptical lets you pedal as you type, take calls, and whatever other work you need to do while seated. Its ergonomic design was made for office environments, so it’s low profile and relatively lightweight. Watch your progress on the built-in display monitor and stay motivated. 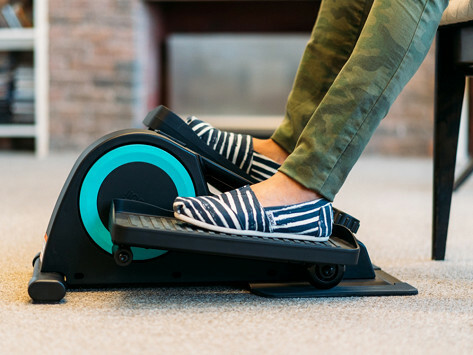 Dimensions: 10" x 17.5" x 23"
Cubii can help burn a few extra calories and keep you moving throughout the day.